Among such policies is the monetary policy, which is formulated by the RBI with an objective to regulate inflation, consumption, growth, and liquidity in the country. Monetary policy includes macroeconomic factors and involves the management of money supply and interest rates. For an economy to run at a steady and stable pace, various policies and reforms are amended by the central bank of the country, the Reserve Bank of India (RBI). Among such policies is the monetary policy, which is formulated by the RBI with an objective to regulate inflation, consumption, growth, and liquidity in the country. Monetary policy includes macroeconomic factors and involves the management of money supply and interest rates. The main aim of drafting the monetary policy is to manage the quantity of money which could cater to different sectors of the country’s economy, leading to overall growth. The Monetary Policy Committee (MPC) is responsible for maintaining price stability along with growth by fixing the benchmark policy rate (repo rate) to regulate inflation. Price Stability: It ensures the due development of the country’s economy with more emphasis on price stability to keep inflation under control. 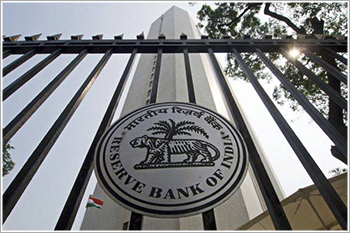 Bank credit’s controlled expansion: RBI controls the bank credit expansion and monetary supply. Fixed investment promotion: Ensuring higher productivity and investment, and at the same time, restraining non-essential fixed investment. Restricts stocks and inventories: The bank prevents money from lying idle and over-stocked in organizations causing restricted flow. Promoting efficiency of the financial system: The overall efficiency of the financial system is crucial to the economy, which can be ensured by incorporating structural changes. These include deregulating interest rates, easing constraints over operations of the credit delivery system, and introducing new money market instruments. Relieves rigidity: Rigidity in the financial system is relieved by introducing flexibility with considerable autonomy and promoting diversification with the required degree of discipline practised. Open market operations: It involves the buying/selling of government securities from/to public banks. It increases the credit flow through the buying of government securities and decreases the credit flow by selling off government securities to regulate liquidity in the system. Cash Reverse Ratio (CRR): It is a certain percentage (value varies from 3 to 15) of the amount which the banks are required to keep at the RBI as reserves. A high CRR would mean lower liquidity, while a low CRR would mean higher liquidity in the system. The required current CRR remains at 4%. Statutory Liquidity Ratio (SLR): SLR is the amount of money that is invested in specified securities mainly central government and state government securities. These liquid assets are the kept in non-cash forms such as G-secs, precious metals, and bonds by every financial institution at any given point of time. The required current SLR is 19.50%. Credit Ceiling: It gives the credit limit of loans given to commercial institutions, which would further be allocated to limited sectors. Credit Authorization Scheme: Under this scheme, all commercial banks need to obtain prior approval/authorization of the RBI before granting a loan of Rs1cr or more to a single borrower. Repo rate: The rate at which the RBI lends to institutions against government securities. An increase in the repo rate would result in higher inflation, due to higher availability of credit. The current repo rate is 6.25%. Reverse Repo rate: Reverse repo rate is the rate at which RBI borrows from institutions against government securities. A fall in reverse repo rate would cause higher inflation, due to lesser availability of credit. The current reverse repo rate is 6%. Moral Suasion: It is an unofficial tool and refers to measures adopted by the RBI to persuade banks to provide credit according to the directives of the central bank in the economic interest of the country. Monetary policy formulated by the RBI targets to regulate inflation and promote growth using different financial instruments and tools for the steady growth of the country’s economy.